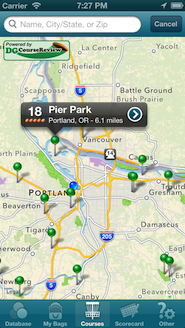 Easily find all of the courses near you, search for a specific course or area, or just explore in the map! Take a closer look at a course to see reviews and ratings, number of holes, pars and distances — all powered by DGCourseReview.com's catalog of courses. 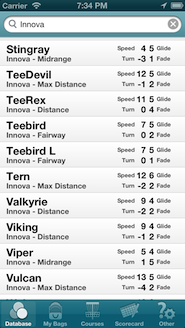 Find some friends, pick a course, and open up the scorecard! 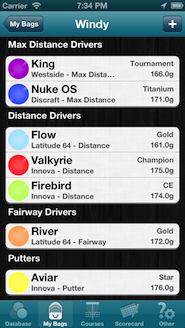 Get detailed information on each hole, and record everyone's score as you play. Watch your progress! 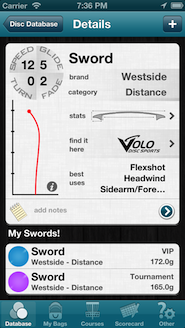 Browse a giant library of disc models from all major manufacturers. You'll see the flight path estimated for each disc, standardized flight numbers, throw tips, and the model's measurements. Find your favorite discs, and add them to your collection! Record details for each such as plastic variety, weight, notes, color, or add a photo. 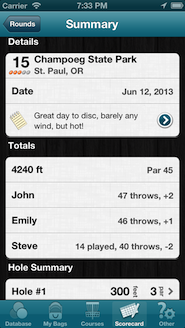 Build digital bags from your discs so you can be ready for a round anytime, anywhere!